Jeffrey Macklis (a 1991 Scholar, as well as a member of the Foundation’s Scientific Advisory Committee) and Luciano Marraffini (2012) are among the recipients of this year’s NIH Director’s Pioneer Award, which supports investigators at all career levels to develop new, high-impact research directions. Bo Li (2016) has received a New Innovator Award, given to early-career scientists who advance trailblazing ideas. Macklis is the Max and Anne Wien Professor of Life Sciences in the Department of Stem Cell and Regenerative Biology, and the Center for Brain Science, at Harvard University. His laboratory explores the origins of nerve cell diversity, including the formation of neural circuits—a process critical to understanding neuropsychiatric diseases. Circuits are built from collections of synapses, or connections between neurons, which begin as structures called growth cones. Macklis and his research group will conduct pioneering work to elucidate the development and specificity of growth cones at the molecular level. 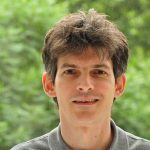 Marraffini is an associate professor at The Rockefeller University, where he heads the Laboratory of Bacteriology. 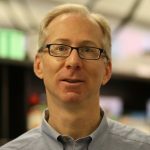 His research focuses on CRISPR-Cas immune systems of bacteria, which in recent years have been widely adapted for introducing targeted mutations into human cells. While the mechanisms that allow CRISPR-Cas systems to cut the DNA of invading viruses are well characterized, the details of how bacterial cells acquire this sequence-specific immunity remain mysterious. Marraffini’s laboratory will investigate such questions as how autoimmunity is prevented and how specific bits of viral DNA are sampled during the development of CRISPR-based immunity. 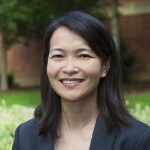 Li is an assistant professor in the Department of Chemistry at the University of North Carolina at Chapel Hill. She takes a multidisciplinary approach to discover new bioactive molecules from microbes. With funding from the New Innovator Award, Li and her research group will seek to address the antibiotic resistance crisis by taking advantage of combinations of natural products from soil bacteria. In addition to competing with their neighbors by producing antibiotics, many bacteria also produce molecules that impede antibiotic resistance. Li plans to employ knowledge of bioinformatics, microbial signaling and natural product chemistry to identify “cocktails” of molecules with the potential to fight drug-resistant infections.